We are delighted to announce that - following a close contest between three excellent candidates - the results for the Student and Early Career Representative elections are in! Many congratulations to Dr Natalie Doig as she takes on this position in the BNA National Advisory Committee. 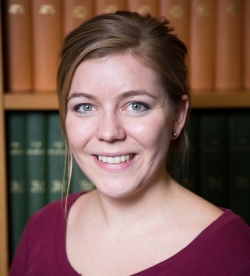 Natalie's role will include representing students and Early Career Researchers (ECRs) on the Committee, advising BNA Trustees on student and ECR issues, working with the Local Groups Co-ordinator to recruit and support Local Group Student Representatives, and more. She is currently a Postdoctoral Neuroscientist at the MRC Brain Network Dynamics Unit at the University of Oxford, where, as a part-time Lecturer in Neuroscience, she also teaches undergraduate medical students, develops course content, evaluates student progress, and provides pastoral care. In her manifesto, Natalie states, "Through my diverse research, teaching and supervision roles, I interact daily with undergraduate and graduate students. I also collaborate extensively with postdoctoral neuroscientists in Oxford and further afield ... I thus have a good understanding of neuroscience-related work ‘at the coal face’ and the challenges faced by students and early career researchers." One such challenge is career development. As Natalie notes, "it is becoming increasingly difficult for postdoctoral scientists to successfully transition to posts as principal investigators. I believe that more could and should be done to address this issue, as early on as possible, by providing mentorship and support for the next generation of neuroscientists". We greatly look foward to welcoming Natalie to the BNA National Committee, and working with her to support students and ECRs in the BNA.